Going into business can be your first step towards financial independence and there is nothing like being your own boss! As the saying goes "If you do something you enjoy you'll never work again". Why buy an established business? Most people buy an existing business because they lack the capital and expertise to establish their own from scratch. Also, many new ventures don't make it through the first few years. You can buy a business someone else has started where the hard work has been done and a financial track record has been established. Of course, you pay a premium for this normally in the form of goodwill. Many people can't risk not earning an income for the start-up period until the business becomes profitable and generally speaking it is easier to finance an existing business than a new venture. From a buyer's point of view, all the expenses involved in operating an existing business can be seen at a glance. Costs such as staff, rent, variable outgoings, rates, taxes, licences etc. are all detailed the financial statements as well as the total sales revenue, gross profit and net profit. The asking price of the business generally includes the plant and equipment necessary for running the business, stock on hand and a goodwill component. One definition of goodwill is "an amount included in the price of a business that is over and above the price of the physical assets of the business". Return on investment (ROI) is the time it takes to recoup the money spent. If it takes 2 years you are effectively getting a 50% annual return on your investment. ROI is the yardstick used to determine the price of a business. Small business is generally priced to assume that the buyer will work fulltime in the business. The "adjusted net profit" allows for ad backs and once off expenses to show a return to one working owner operator. Under Management businesses will show a lower return. The Return on Investment is calculated on the adjusted net profit of the business divided by the total purchase price. The total purchase price for this business including Goodwill, Plant & Equipment and Stock is between $500,000 and $833,000. Many factors influence where a business actually fits in this scale. These can include location, number of years established, length of lease, owner involvement, staff, contracts, competition etc. As a rule, the stronger or more protected the business type, the lower the Return on Investment. For example, corner deli/convenience stores are under pressure from service stations who are now stocking all the traditional delicatessen lines and major supermarkets and shopping centres now operating 7 days. Buyers who may have been prepared to accept a 50% return (2 Years) on this type of business some years ago now want their investment back in 1 year or less. A 100% or more ROI. 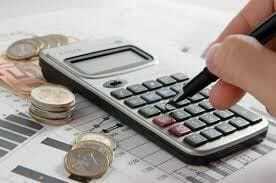 Some accountants use a general rule of a Return on Investment over 2-5 years. (40%). Do your homework. Compare many businesses. A Business Broker can introduce you to a range of business's to compare that may meet your requirements as well as future listings not yet on the market. If you require finance make some initial enquiries through your Bank or Finance Broker to determine a suitable price range. If you are looking for something specific you can give us the details and will actively prospect for that type of business on your behalf. Please email. 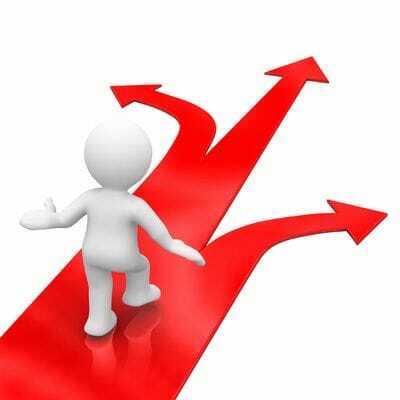 Well documented, well presented and organised businesses can make the decision to buy or not to buy reasonably straight forward. 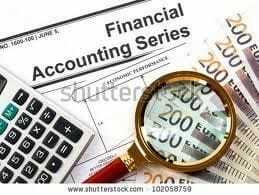 Look for complete financial statements for at least 2 or 3 years plus year-to-date financials for the current year. Are the premises and lease suitable? Get professional advice from an Accountant or qualified person. A few dollars spent now could save you a substantial sum in the future. See our useful links for more information or if you have a particular question please email. Business sales can be GST free where:- The vendor supplies to the purchaser everything necessary for the continued operation of the business. The vendor carries on the business until the date of sale and: Both parties agree in writing that the supply is of an ongoing concern. Purchasers must be registered for GST at the time of settlement. Note that the Vendor is responsible if, at a later date, the sale is determined to be taxable. However, now GST clauses have been incorporated in some "General Conditions for the Sale of a Business" (used by many Real Estate Agents and Business Brokers) the GST condition now includes a clause that basically says ". s the right to demand the amount of GST from the purchaser who must pay the "
said" amount within 30 days of receiving notice in writing. The clause has an effect for up to 10 years from the date of the settlement of the business. Contact Online Business Sales for advice on selling or buying your business!